CRIMINAL MINDS QUOTE & SONG INFO FOR "WITH FRIENDS LIKE THESE.."
Criminal Minds quotes for "With Friends Like These.." starring Joe Mantegna, Thomas Gibson, Shemar Moore, Matthew Gray Gubler, Kirsten Vangsness and Rachel Nichol. Lizette Reese, "The old faiths light their candles all about, but burly Truth comes by and puts them out." Siddharta Buddha, "It is not his enemy or foe that lures him to evil ways." Criminal Minds: EW interview with Thomas Gibson -So two weeks ago, the exit Criminal Minds fans had been dreading finally happened. But though we had anticipated the end of Paget Brewster’s Emily Prentiss, the team at BAU was thrown for a loop and are now faced with the task of dealing with Prentiss’ “death.” (Read Ken Tucker’s take on the episode.) 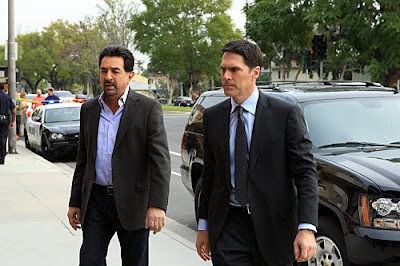 In an interview with EW, first previewed in the Spoiler Room, Thomas Gibson previews what’s next for Hotch and the show. 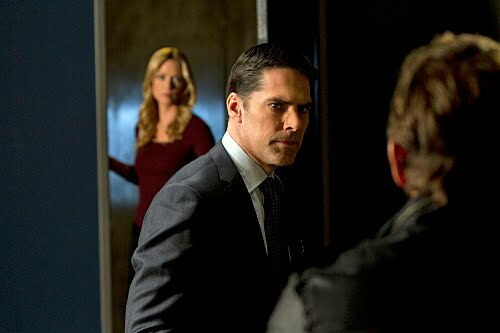 ENTERTAINMENT WEEKLY: It’s been a really difficult season for Hotch. First A.J. Cook’s character left and now Emily. He’s such a determined, focused character. How is all this affecting him? On the inside, all of these things do affect him. They do get to him, but he is disciplined enough to know that they are, A) private, and B) not to intrude on the job that’s got to be done. He will absolutely not try to sweep them under the rug, but the job needs him and his son needs him. There’s too much to do to — I wouldn’t call it wallowing — but there’s too much to do to really rest or even digest. So I think that it’s just a kind of survival instinct. At this point, [the team] has been through — and he’s been through — a great deal of change over the life of the show. We are down to, I think, four of us who started with the show from the beginning and are still with it. Each year seems to have contained the challenges of transition and no greater transition has been called upon than this year. Like I said, the show without A.J. 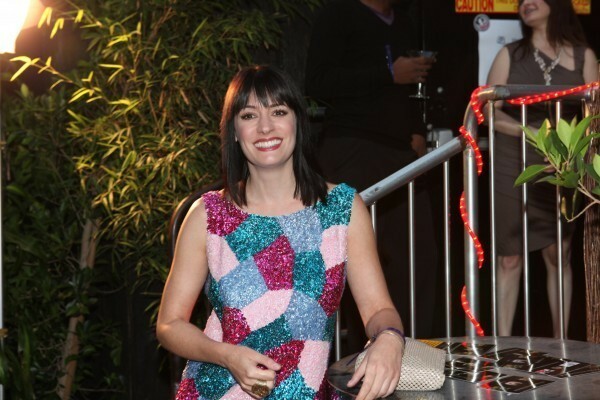 and without Paget — we’re continuing. The show is continuing just like the team is continuing, but hopefully we’re ready for whatever the next transition is and maybe the next transition is the re-addition of team members. I don’t know. I think the fans are gonna stick with you regardless. I hope so. People are really crazy about the show. I hear from people in the airport, as I’m going back and forth home every week. And I hear from people in Texas, where I live, and I was in New York a couple weeks ago and got stopped by two secret service agents in the lobby of my hotel. You know, people are connected to the show. I don’t think there are any wishy-washy fans. I think there are fans who are very connected, and we’re grateful for them, so hopefully they will. We’ve still got stories to tell, and I want us to tell them well. Hopefully people are along for the ride. Last I heard, you were in talks for next season. Have there been any decisions made? I know 50,000 Twitters followers who are gonna be very upset if they don’t work this out with you. Yeah, I know. That’s all I can say. I’m hoping to be on the show. I’m planning on being on the show, but we’re still talking. That’s all I can say at this point. I know I certainly don’t feel like it’s time to turn off the lights or anything like that. I don’t think my kids would mind. That would be a good thing, but they’ve been very understanding. I’ve tried my very best to keep all the balls in the air and be home. When I’m home, I’ve got the kind of time that other dads who live there full time don’t have. I can go and have lunch with my kids at school and that sort of thing. We’re making it work, [but] they are sacrificing as well and not complaining about it. Yeah, that’s a good bunch there. They are a good bunch. Yeah, I think we’ll keep ‘em. I think the solution here would be to take Criminal Minds to San Antonio for an episode or two. That would be fine. I think we’ve exhausted all the geographical possibilities in Los Angeles County. It would be great to branch out a little bit. None of us would mind the change of scenery. I mean, we get little changes here, but now we’re starting to see the same places over and over again. I think we’ve all gotten to know more of L.A. County than we ever thought possible. You have your break coming up soon. Do you have anything in the works? I’ve got a short film that I’ve been adapting and would like to make. I don’t know that I’m going to have it together enough to start shooting this summer, but I may end up trying to do it in the fall. I am going to get it on track to try to pull it together and maybe get it done this summer. It’s a great little idea. It’s very simple. My ambitions for it are reasonable, and I just want to have the experience of doing it really for myself. And if it turns out well, I might let other people see it. It’s a story that I really love. It’s very unique, it’s very interesting. So hopefully you’ll hear more about that in the not-too-distant future. What’s the skeleton story of it? It’s based on a short story, and we’re kind of negotiating the rights. I’m going ahead and adapting it anyway. I don’t wanna kill my only chances by putting it out there, but it’s definitely unique, I can tell you that much. I’ll keep you posted. CRIMINAL MINDS SPOILER THREAD FOR "WITH FRIENDS LIKE THESE..."
Criminal Minds spoiler thread for "With Friends Like These..." starring Joe Mantegna, Thomas Gibson, Shemar Moore, Matthew Gray Gubler and Kirsten Vangsness. CRIMINAL MINDS PROMO PIC FOR "THE STRANGER"
CRIMINAL MINDS REBROADCAST OF "MIDDLE MAN"
CRIMINAL MINDS PRESS RELEASE FOR "HANLEY WATERS"
"Hanley Waters" - As the BAU investigates targeted killings in Tampa, they also deal with their own feelings about the loss of Prentiss, on CRIMINAL MINDS, Wednesday, April 6 (9:00-10:00 PM, ET/PT) on the CBS Television Network. Guest stars include Kelli Williams ("Lie to Me," "The Practice") as suspect Shelley Chamberlain, and David Chisum ("One Life to Live") as her estranged husband, Don. CRIMINAL MINDS PROMO PIC FOR "HANLEY WATERS"
CRIMINAL MINDS PRESS RELEASE FOR "WITH FRIENDS LIKE THESE..."
Criminal Minds Press Release: "With Friends Like These..." - When a gang of suspected murderers begins targeting a new victim each night, the BAU travels to Portland to head them off before they can strike again, on CRIMINAL MINDS, Wednesday, March 30 (9:00-10:00 PM, ET/PT) on the CBS Television Network. Criminal Minds: Interview with Matthew Gray Gubler. 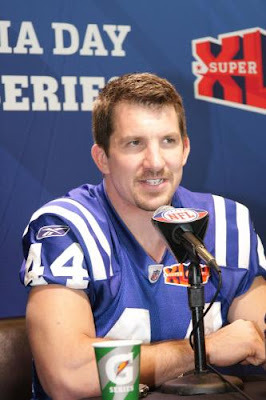 Criminal Minds: Indianapolis Colts tight end Dallas Clark is staying occupied during the NFL lockout. 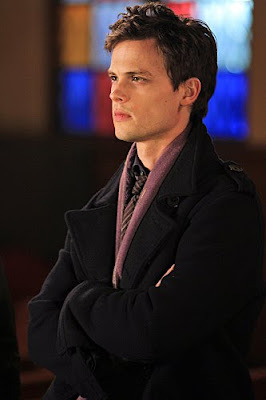 Clark will be in California next week top make his acting debut, shooting a scene for an upcoming episode of the CBS television show "Criminal Minds." "I met Rick Dunkle, one of the show’s writers, at a Jacksonville game last season," Clark told Sporting News on Tuesday. "He was telling me how he’s from Indiana and how he’s a big Colts fan. I was like, 'If there’s ever a shortage of actors out there in Hollywood, give me a call.' We kind of laughed about it. Now, I’m flying out to L.A. to shoot a scene. "I’m playing a detective. I have two lines. That might be the beginning AND end of my acting career. Hopefully, I impress someone and get a call back. This is just a small glimpse for me to be in the actor’s shoes. If I stink, they can cut me out. If I’m good, maybe it will open up some doors." Clark, who turns 32 in June, still is recovering from season-ending wrist surgery but expects to be ready by the start of training camp, assuming there is a training camp this year. Like most players, Clark is doing his best to stay patient during the NFL's labor turmoil. "I’m staying optimistic and hoping the people who are in the meetings, making the decisions, will be able to get it done," Clark said. "It’s just March. We’ve got a long ways to go before the season starts. As players, we have to make sure we’re ready to go whenever the deal is done. 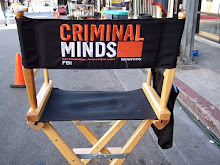 CRIMINAL MINDS SPOILER THREAD FOR "LAUREN"
Criminal Minds spoiler thread for "Lauren" starring Joe Mantegna, Thomas Gibson, Paget Brewster, Shemar Moore, Matthew Gray Gubler and Kirsten Vangsness. Criminal Minds: Paget Brewster has firmed up her post-Criminal Minds career plans: The fan fave has signed to play the female lead in NBC’s comedy pilot My Life as an Experiment. Produced by Jack Black, Experiment chronicles the adventures of a gonzo journalist and how his unique profession impacts his home life. Brewster will play the wife of the lead character. The potential series is based on the best-selling book by journalist/author A.J. Jacobs, Guinea Pig Diaries: My Life As An Experiment. Ironically, the news comes on the eve of Brewster’s Minds‘ swan song; her final episode is set to air on Wednesday. 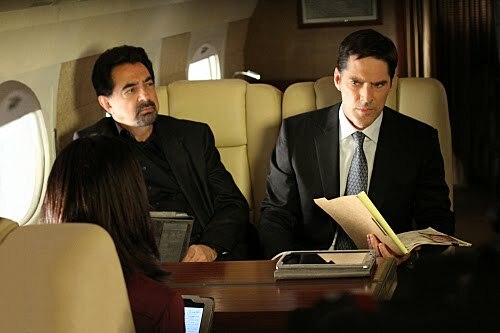 Criminal Minds: "With Friends Like These" -- Morgan (Shemar Moore, right) and the BAU travel to Portland to investigate a suspected gang of murderers targeting a new victim each night, on CRIMINAL MINDS, Wednesday, March 30 (9:00-10:00 PM, ET/PT) on the CBS Television Network. Also pictured Ivar Brogger (left) Photo: Matt Kennedy/ABC Studios. ©2011 ABC Studios. All Rights Reserved. 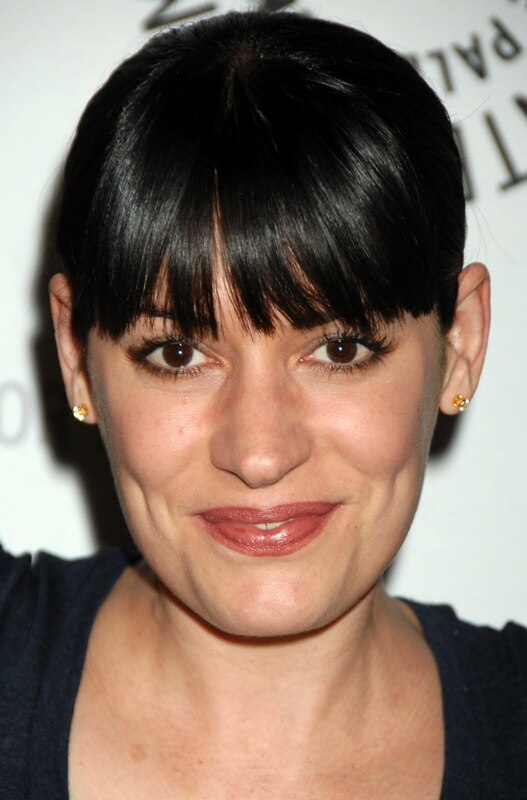 Criminal Minds: Paget Brewster, Emily Prentiss on Criminal Minds, will be joining us in the Criminal Minds Fanatic chat room to discuss "Lauren" on Thursday, March 17th at 10pm EST. 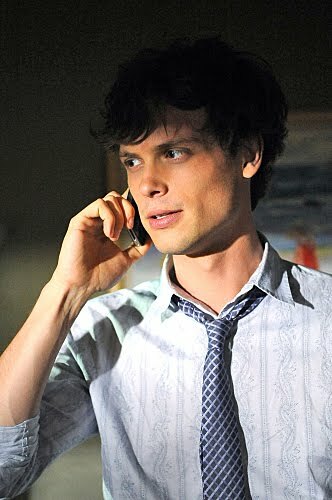 Please email the Criminal Minds moderators for the password for this chat: cmfchat@gmail.com AND make sure the subject line reads 'request password for the "Paget Brewster Chat"
Criminal Minds: Please join me and the Criminal Minds Fanatic moderators in wishing a very Happy Birthday to Matthew Gray Gubler who celebrates his birthday on March 9th. Happy Birthday, Matthew! Criminal Minds: Please join me and the Criminal Minds Fanatic moderators in wishing a very Happy Birthday to Paget Brewster who celebrates her birthday on March 10th. Happy Birthday, Paget! Criminal Minds: "With Friends Like These" -- Morgan (Shemar Moore, center), Reid (Matthew Gray Gubler, right) and the BAU travel to Portland to investigate a suspected gang of murderers targeting a new victim each night, on CRIMINAL MINDS, Wednesday, March 30 (9:00-10:00 PM, ET/PT) on the CBS Television Network. 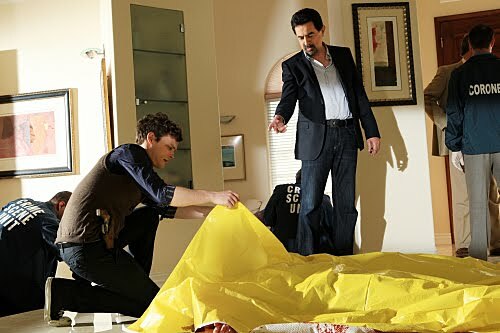 Also pictured Ivar Brogger (left) Photo: Matt Kennedy/ABC Studios. ©2011 ABC Studios. All Rights Reserved. 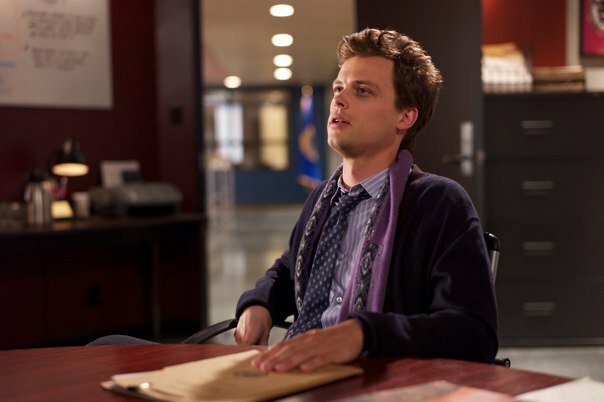 CRIMINAL MINDS PROMO PIC FOR "WITH FRIENDS LIKE THESE"
Criminal Minds: "With Friends Like These" -- Reid (Matthew Gray Gubler) and the BAU travel to Portland to investigate a suspected gang of murderers targeting a new victim each night, on CRIMINAL MINDS, Wednesday, March 30 (9:00-10:00 PM, ET/PT) on the CBS Television Network. 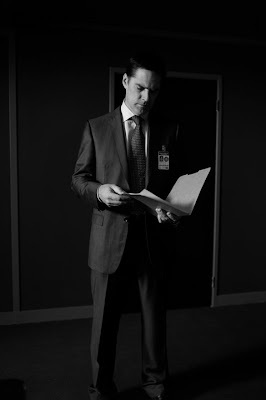 Photo: Matt Kennedy/ABC Studios. 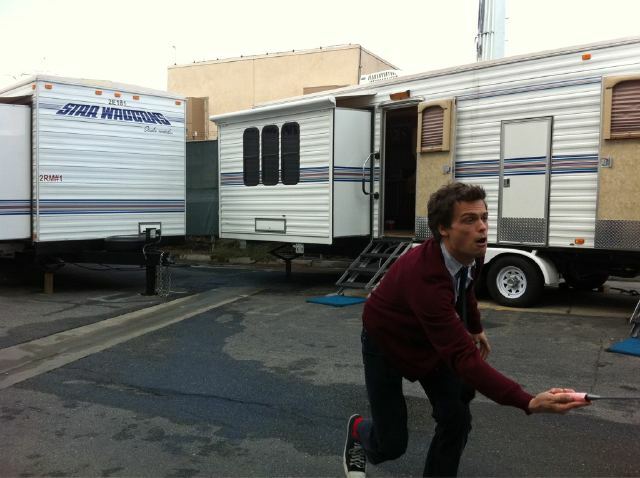 ©2011 ABC Studios. All Rights Reserved. 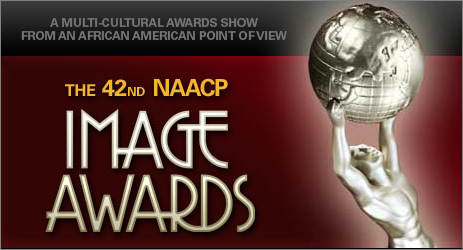 Criminal Minds: Congrats to Criminal Minds writer Janine Sherman Barrois for being nominated for the 42nd NAACP Image award for Outstanding Writing in a Drama Series: "Criminal Minds" - Rememberance of Things Past. The event is this evening. Fingers crossed she wins. CRIMINAL MINDS QUOTE & SONG INFO FOR "VALHALLA"
There was no music listing. Criminal Minds: Matthew Gray Gubler and Susan Traylor attend the Black Swan Opening Party at Regen Projects on February 25, 2011 in West Hollywood, California. 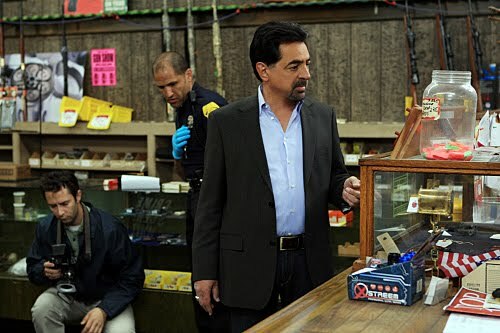 CRIMINAL MINDS SPOILER THREAD FOR "VALHALLA"
Criminal Minds spoiler thread for "Valhalla" starring Joe Mantegna, Thomas Gibson, Paget Brewster, Shemar Moore, Matthew Gray Gubler and Kirsten Vangsness. -While February 22 is the official release date for "All Star Superman," DC Entertainment and Warner Brothers' newest animated DVD, last Thursday night, Warner Home Video, in conjunction with Comic Book Resources, held a screening of the animated feature at the Paley Center for Media in Los Angeles. "All-Star Superman" screenwriter Dwayne McDuffie, Jimmy Olsen voice actor Matthew Gray Gubler and Superman/Clark Kent actor James Denton all spoke with CBR about their experiences working on the movie, touching on everything from their individual takes on the iconic figure to the power of the original comic.